Hmmph! I was planning to post yesterday, but at about 2:00 in the afternoon our internet went out. Then after Jerry got home and tried to see if he could get it working, we realized that our phone was out too! Just to add a little more misery, our cell phones weren't getting good reception at our house, which is weird because they usually do. It's so funny how we've become so dependent upon our electronic devices - and I really don't use mine that much! (Other than my computer...) So anyway, that's my long, convoluted excuse for not being around yesterday. 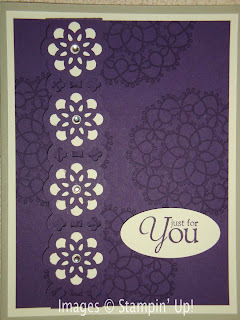 I have a couple more cards to share today from the Upscale Swap. 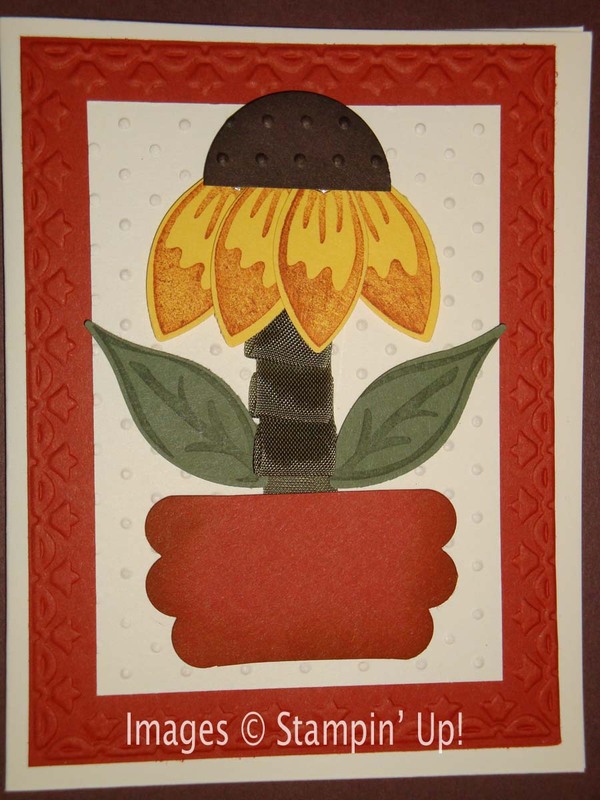 The first one was created by Carla Schultz. She used the Build a Blossom stamp set with the Blossom Petals Builder punch to make a sunflower! It's a little hard to see in the picture, but she folded some Always Artichoke 1/2" Seam Binding Ribbon to create the stem. 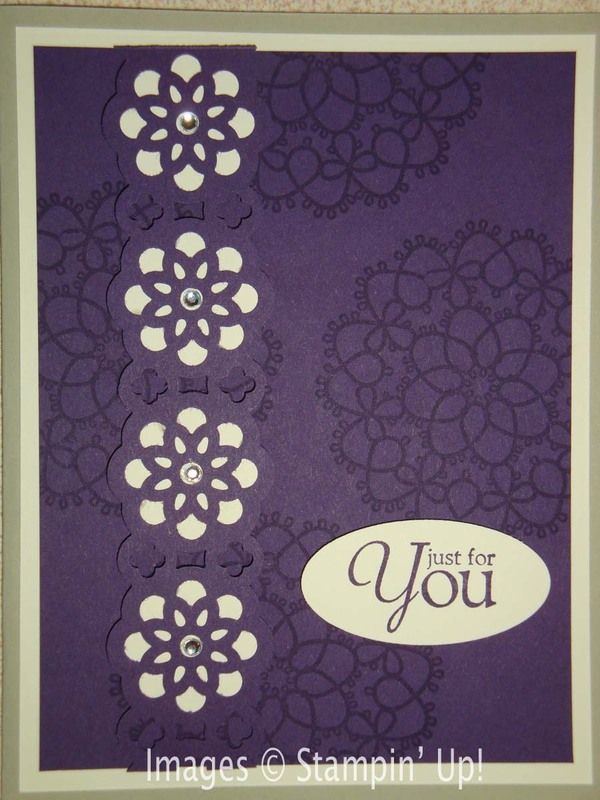 Laura Kurtyak made this next card with Delicate Doilies stamp set, Lace Ribbon Border punch, Concord Crush and Very Vanilla cardstock, and Basic Rhinestones. I love how she punched out the 1" Circle Punch in Very Vanilla and put it behind the Lace Ribbon Border punch to really show off the "flowers".